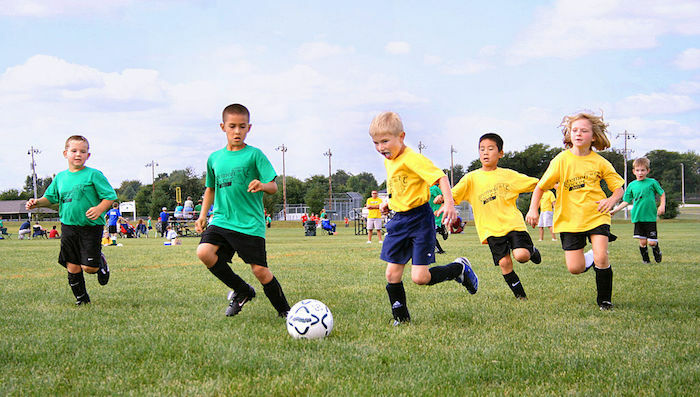 Youth soccer in small town USA. Photo shot by Derek Jensen (Tysto), 2005-September-17, courtesy Wikipedia Commons. When you get right down to the divots, polo and soccer have a lot of similarities. 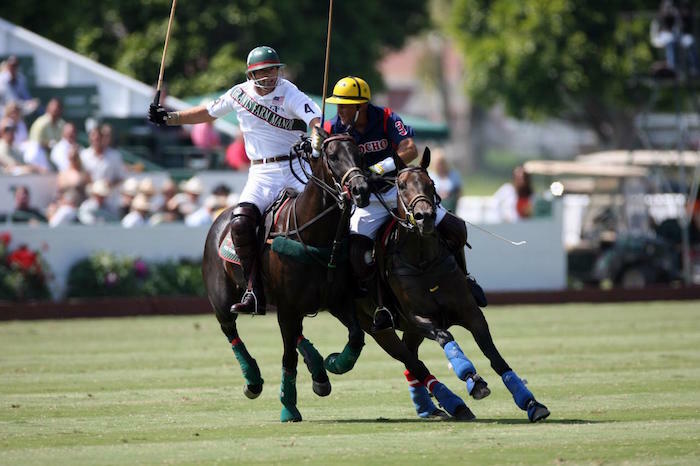 I recently had a weekend that truly exemplified what life is like in Santa Barbara: I spent Saturday on the soccer field and Sunday on the polo field. At first glance, these two fields seemed to have nothing in common beyond their sneeze-inducing allergens that battle hopelessly with my Claratin prescription (now available over the counter). However, as a trained UCLA sociology major, I am qualified to speculate on sociocultural connections where they exist and to invent them where they don’t. Both sports involve opportunities for off-roading — you get to park on a beautifully manicured lawn at the polo fields and what could easily be a BMX course at the UCSB soccer fields. High-density housing tastefully abuts the mountains overlooking the polo fields, while graduate student housing will soon replace the soccer fields, if the university’s plans are ever approved. Also, there were members of the Firestone family at both venues, which certainly bodes well for the next Board of Supervisors. If Brooks and his offspring can bridge the gap between soccer and polo, surely there’s hope for the battle between north and south Santa Barbara County. Both sports involve opportunities for mayhem — men charging on horses trying to hit a ball at a goal, and 5-year-old boys and girls running full out trying to kick anything they can, including their teammates. Both sports apparently also involve cartwheels; although at soccer they take place on the field and at polo they were strictly on the sidelines. Polo is more kid-friendly than you’d think. My son and his buddy ran up and down the grandstand between chukkers, while little girls exhibited spontaneous bursts of gymnastic skill. Little boys are likely to burst into spontaneous bouts of wrestling and possibly even multiple rounds of jokes, but I have yet to see my son or his teammates do even one cartwheel on the field when the game is going on. The boys also could care less what color their uniforms are, let alone whether their hair’s brushed, while one adorably pink-clad girls team (the Rainbow Princess Sparkle Dolphins or something) had matching French braids, which were great for keeping their hair out of their faces during cartwheels. A visit to the soccer field offers opportunities to say hi to everyone you’ve ever met in Santa Barbara, without the conversational expectations of a cocktail party. If Marty Blum and Lois Capps were smart, they’d hold their office hours during AYSO games and get a tan at the same time. The polo match was more about people watching than people talking. If you’ve ever lusted after a straight-out-of “My Fair Lady” hat at Nordstrom’s and decided you had nowhere to wear it, attending a polo match gives you the perfect excuse. It’s also a great place to bring out that wedding gift picnic basket you thought only people in Town and Country Magazine ever used. At the soccer field I looked anything but fashionable trying to juggle enormous folding chairs, soccer balls, juice boxes and a small, rowdy boy. Did I mention that my sociology training qualifies me to speculate on sociocultural connections that may or may not exist? While snack time is one of the highlights of the soccer game for both boys and girls, the polo matches put on a halftime show that’s a big favorite with bigger boys and girls — the stomping of the divots. Similar to the stomping of the grapes, spectators are invited onto the field to stomp on the grass on their way to a complimentary glass of champagne. No wonder they call polo the “sport of kings.” Anything that involves sunshine, mountain views and cocktails is OK by me. I hope our soccer team understands that when it’s my turn to bring snacks. Habitat for Humanity of Southern Santa Barbara County cleared a final hurdle to start with plans to build three homes for low-income families last week when the U.S. Housing and Urban Development Department (HUD), backed by the Santa Barbara City Council, gave its final approval of a $240,000 loan to aid in the purchase of land on Via Lucero near upper State and Calle Real. It will be the first major building project for Habitat for Humanity here. Escrow was cleared last week. Supported by local churches, corporations, foundation and individual donors, Habitat for Humanity has raised 70 percent of the nearly $800,000 needed to pay for materials, design and permit fees. “I am looking forward to seeing many community volunteers out there swinging hammers,” said Mayor Marty Blum. The organization will now recruit volunteers to help build the houses and determine who will live there. A requirement for homeowners is they must contribute 500 hours of “sweat equity” for construction. The Mental Health Association in Santa Barbara County’s “Building Hope” capital campaign to build up to 50 units of housing has raised 58 percent of its $4.1 million fundraising goal, organizers announced this week. Half of the homes will be reserved for MHA clients and half for affordable housing for downtown workers. As I understand it, in the recipe of capital campaigns, reaching that 58 percent goal is really significant, said executive director Annemarie Cameron. 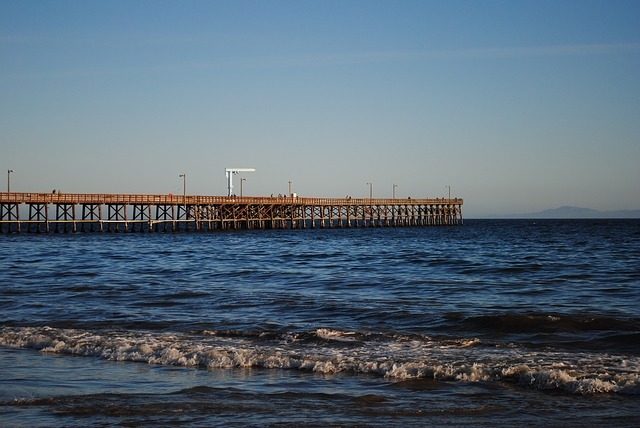 The total project cost is $17.3 million but with the City of Santa Barbara’s commitment of $4.6 million in Redevelopment Agency funds, bond financing and the donation of all development costs by Bermant Development Company, only $4.1 million will come from fundraising. In addition to housing, the new facility at 617 Garden St. will also accommodate the MHA offices, a resource center for families and the Fellowship Club, where people with mental health disabilities can meet for social time and life skills learning. Hillside House and partners Bermant Development Company and the County Housing Authority have been working closely with neighbors and the Planning Commission to develop a master plan for the site at 1235 Veronica Springs Road. The conceptual proposal for the 26.74 acre site, reviewed by the Planning Commission this week, included 38 residential buildings with up to 127 homes, public pedestrian, equestrian and bike trails and 17.74 acres of open space with 9 acres developed. I think the neighbors are not as worried as before, said Kirsten Ayers, spokeswoman for the development group. The project is planned in two phases to ensure that the 59 residents of Hillside House will be able to remain on the property continuously. Groundbreaking is not anticipated until early 2006. This story contains additional reporting by Sally Cappon. Originally published in South Coast Beacon on September 23, 2004. Euro Coins Time Is Money Currency. maxpixel.freegreatpicture.com. Time and money are intricately linked and almost no one feels as if they have enough of either. 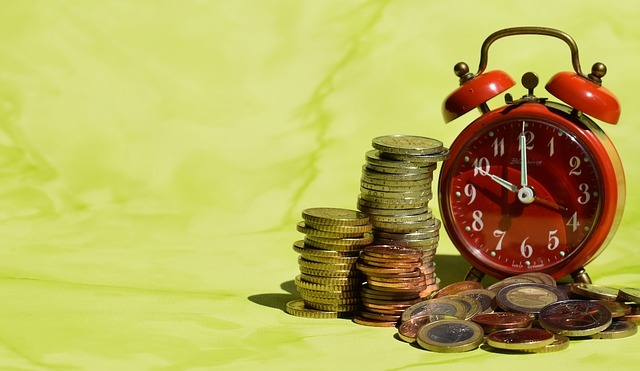 While time spent working generally earns you money, increasingly people are investing that money to buy back some of the precious bits of their days. The gateway to paying for convenience is often through the belly. Even people who wouldn’t dream of paying for a car wash or a manicure are willing to fork over the cash for pizza delivery. “Our job’s basically to make your life easier,” said Pizza Mizza co-owner Sean Ebadi, whose company delivers beer, wine, ice cream, DVDs, diapers, cigarettes and other items along with pizzas. He estimates about 20 percent of his customers use the extended delivery services, with families as his largest clientele. “I love all the delivery options in Isla Vista,” said Katie Davis, a mother of two who lives in nearby Storke Ranch. Her family also eats out a lot and when they do eat at home she often relies on prepared foods. “When I’m busy, cooking is the first thing to go,” said Helen Evans, a single mother of two. Eric Thomas, co-owner of Store 2 Door, has made a business out of shopping for other people. While the majority of his time is spent purchasing and delivering groceries, he’ll also pick produce at a Farmers Market, get prescriptions at drug stores and select gifts at department stores. Many of his customers began the service when they were sick or recovering from surgery, had new babies or other reasons they couldn’t leave their houses, then converted into regulars as they got hooked on the convenience of leaving the shopping to someone else. Businesses are also taking advantage of these timesaving services. When Leslie A. Lund started Lundann Express more than 20 years ago, her business was primarily errands and deliveries. Over the years she’s picked up and/or delivered a bird from the veterinarian, a poodle from the groomer, urns of ashes from the airport, and even a six-pack of Budweiser (on doctor’s orders) to a patient at the hospital. Now, however, most of her revenue comes from businesses, which book her drivers for regular daily pickups of documents, mail and bank deposits. “Companies don’t want to pay their secretary to do something we can do more efficiently,” said Lund. Once considered a luxury, home-cleaning services are now moving into the realm of necessity, said Joanne Stafford, owner of the Cleaning Dolls. Over the past 14 years she’s seen a dramatic increase in business, more than 50 percent, she estimated. Some cleaning services also provide laundry service, a temptation in itself. “I try to buy all of the same kinds of socks, so I don’t have to match them and I send my shirts to the dry cleaners, so I don’t have to spend time ironing them,” said Dr. Michael Bordofsky, a father of four. Several area dry cleaners also offer pickup and delivery service, making the process even more convenient. Davis takes laundry efficiency a step further by only buying wash-and-wear clothing. “No ironing, no dry cleaning, period,” she said. It’s survival of the fittest at her house. If a label says, “dry clean only” she’ll throw it in the washer and take her chances. While most of us would love to stop doing laundry, sometimes even fun chores like walking the dog need to be delegated to others. That’s where Suzy Godsey comes in. Her company, the Happy Dog, will exercise dogs, housesit for them and occasionally even take them to the vet. She said her typical customers are working professionals who just need some help. Paperwork is another time-consuming area some people are willing to pay to avoid. While CPA services are becoming standard at tax time, many people are also turning to automated bill pay or money managers to deal with their monthly expenses. Ph.D. Organizational Services, owned by Dawn Hampton, takes this service a step further by managing people’s health insurance claims for them. Hampton’s clients are typically professional people who are extremely busy and want to make sure they are getting what they’re supposed to from their insurance. My grandpa used to tell me “money doesn’t grow on trees.” Now we have to teach our children it doesn’t grow from ATMs either. Here are some ways to help teach kids the value of money. • Communicate with children as they grow about your values concerning money — how to save it, how to make it grow, and most important, how to spend it wisely. • Help children learn the differences between needs, wants and wishes. This will prepare them for making good spending decisions in the future. • Separate the concepts of investing and saving. Teach savings with the traditional piggy bank or passbook savings account. Don’t forget to add interest in the form of a few pennies for every quarter they save. • Let your children make money decisions from an early age. Sit down and work out a budget based on necessities and discretionary choices. • Make sure your child understands the connection between work and paychecks and taxes. • When your child is at an appropriate age, encourage him or her to get some work experience. What started out a few months ago with a simple drink at Holdren’s, is quickly igniting into a new nonprofit, the Santa Barbara Firefighter’s Alliance. “We should really try to do something to support the firefighters,” was Betty Stephens‘ initial thought after meeting with City Fire Captain Franc Chacon and County Fire Captain Dave Sadecki last spring. The idea quickly uh, caught fire, and soon Stephens had herself a working board of volunteers eager to assist local fire agencies by raising money to buy them the up-to-date equipment and safety gear the government no longer provides. The alliance also wants to assist firefighters and their families who suffer catastrophic circumstances. Many of the board members have themselves experienced the dangers that firefighters face every day. For example, Seymour Fletcher had his home on Refugio Road threatened by the recent Gaviota fire and Margie Niehaus and her husband survived the attack of the World Trade Center on Sept. 11, 2001. It’s actually amazing what a broad spectrum of the community has have become involved in the organization because they’ve been touched by the work that firefighters do, said board member Andy Rosenberger. Supporters include the students at Santa Barbara High’s Multimedia Academy. Senior Aimee Pepper designed the organization’s logo and is working with fellow seniors Chase Kidd and Michael Vierra to develop a website. Initially the group planned to have its first event — the Fireball 2005 — in January, but board member Bruce Corwin, who owns the local Metropolitan Theatres, was able to get Touchstone Pictures to donate the firefighting-themed film for a benefit performance next week. 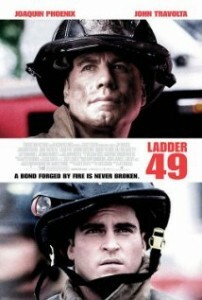 The benefit screening of the film, which stars John Travolta and Joaquin Phoenix, will be held Sept. 30 at 7:30 p.m. at the Arlington Theatre, with a Chief’s Reception at 6:30 p.m. Tickets are $25 for general admission and $100 for preferred seating and the reception. Tickets are available at the Arlington Box Office, Ticketmaster outlets, by phone at 963.4408, or online at www.ticketmaster.com. For more information about the Santa Barbara Firefighters Alliance call 967.6294 or 685.1432. Whether starting out or starting over, the joy is in the journey. I just started kindergarten for the third time, and it doesn’t get any easier. I also started writing this column at least three times and I’m not sure it got any better. Firsts are not my bests. I probably had more butterflies in my stomach the day Koss and his humongous Yu Gi Oh! backpack walked into Vieja Valley School than when I first set my own shiny black Mary Jane-clad feet into Washington School almost — oh, my gosh — 36 years ago. The reason I’m writing this column is because my dear friend and colleague, Sally Cappon, abandoned me to write a book, sort of like Koss’ preschool friends abandoned him for different elementary schools. I don’t know what I’ll do without Sally to help me spell Devereux and Glen Annie or her encyclopedic knowledge of Fiesta. Change is hard. I was just starting to get the hang of my first kindergarten classroom at Crown Pointe Elementary in San Diego. Then my dad selfishly took a job at Santa Barbara City College and moved us here midyear, without a second thought as to who I would sit with at snack time. Thankfully Mrs. Moropoulos (whose son, Craig, is now the football coach at Santa Barbara High) was looking out for me that first day. She let me have the special honor of assisting her by wiping off the blackboard and cleaning the erasers. There are no more erasers to clean. Koss has a whiteboard in his classroom, two computers and 19 kids he didn’t know until that first day. I was terrified, but he took it in stride, promptly befriending Ben and Bob and telling me he wished he only had three letters in his name. One of the most wonderful and alien things about being a mom is re-experiencing some of the memories of my childhood through the eyes of a little boy. Even though the chairs have shrunk enormously, they’re still made of that artificially shiny wood. I can almost feel my bottom skating across the seat every time he sits down. Koss is fitting easily into his new school and tells everyone who asks how much he loves it. As I agonize over the contents of his Pokemon lunchbox (do I give him the Goldfish crackers I know he’ll eat or the celery sticks I wish he would), he sings his new songs (“To stop the bus in cases of emergency, you pull the cord …”) and chatters about how much better Ms. Geritz sings than I do. In reality, everyone sings better than I do, but he never noticed this in preschool, when all the bus did was have its wheels go round and round. Koss is becoming more and more independent every day, which simultaneously thrills and kills me. It seems like yesterday I brought him home from the hospital and he already wants to be dropped off in the school parking lot to walk to class alone (over my dead body!). While Koss learns to pronounce L’s and R’s in a way that people other than his dad can understand, I’ll be working on a way to put my own observations into a forum that entertains more than just my husband. I’ve got high hopes for this column, but even higher hopes for Koss as he sets off on this lifelong learning adventure. But until he learns to read, I’m counting on the rest of you. With the high cost of housing driving declining school enrollment figures throughout the state, there were a few bright spots in the preliminary local students counts. Bishop Garcia Diego High School was reportedly up to approximately 270 students this week. In January, the Catholic school announced that it was severing relations with the Archdiocese of Los Angeles in order to have more local control. At that time a board of directors was formed and the school began actively marketing to the community, a move that resulted in additional students for the fall. As of Monday, the Hope School District had 1,415 students enrolled, said Superintendent Les Imel. This is approximately 20 fewer students than the district had budgeted for, but still more than the 2003-2004 year end count of 1,371. Imel stressed that those numbers — of which approximately 30 percent are inter-district transfer students — were not final. Vieja Valley, for example, took in four new students (not included in the 1,415) that day, said Principal Barbara LaCorte. Getting a handle on enrollment figures is particularly critical in these times of uncertain state funding, but administrators all stressed that the numbers were still fluctuating. The Santa Barbara Elementary School District had a very preliminary count of 5,386 students, versus a projected 5,585 students, while the secondary district was over its initial projection of 9,474, with a preliminary headcount of 9,762. The Goleta Union School District had 3,773 students on the first day, but again, emphasized the count was still preliminary. Source: U.S. Census Bureau, courtesy Wikipedia Commons. The rippling waves of the Pacific Ocean beckon South Coast residents to the beach on these warm fall evenings, but there’s another ripple effect going on around town: the effect of the commuter on our community. As rising real estate values send more and more people to live away from where they work, the hours they spend on the freeways are hours they’re not spending coaching Little League, leading Girl Scout troops and otherwise engaged with their communities. 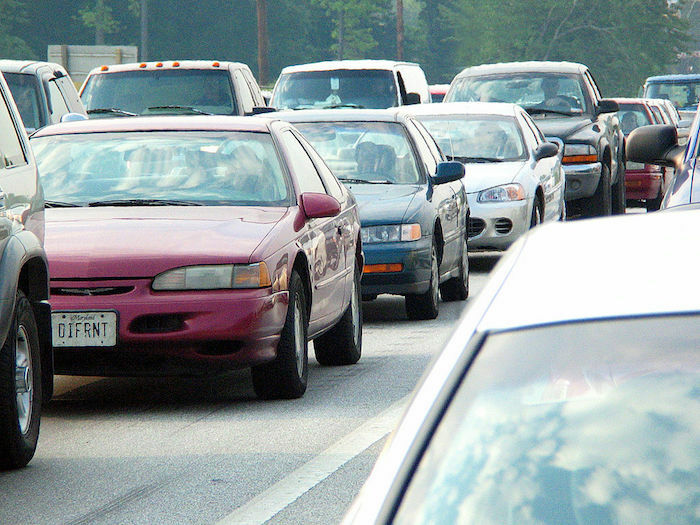 Is there a ripple effect of commuting on community involvement? It’s tough to participate in activities after work, agreed most commuters. “I usually get there late and hungry,” said Joel Russell, who for the past nine years has lived in Oxnard and worked for Hispanic Business Magazine in Goleta. J.R. Frazier, who has commuted from Oxnard to Raytheon in Goleta for the past four and a half years, wishes he had more time to spend at his 7-year-old son’s school. While Russell and Frazier both said they feel like “Oxnard is home,” others feel their loyalties divided. “I kind of feel like I don’t have a community,” said Dave Ward, a Santa Barbara firefighter who lives in Santa Maria. Battalion Chief John Ahlman, who’s been with the Santa Barbara Fire Department for 31 years, lamented the loss of some extracurricular activities. Lafrican said he is more fortunate than many commuters, in that he has a supportive employer that gives him the flexibility to be able to do the things he needs to with his children. He’s also one of a growing number of people who take advantage of the vanpool program offered by Traffic Solutions. His core group of fellow riders has been together for almost a year, and includes employees from Cottage, the Cancer Center, the Rehabilitation Institute at Santa Barbara and Sansum Clinic. Both Lafrican and Russell, who drives alone, said they would happily take advantage of a light rail or fast bus option if one existed. “Light rail would be wonderful,” agreed Frazier. “I could be a lot more productive,” Russell said. When Russell started commuting nine years ago he was the exception. “Now it seems like quite a few others also commute and come from even farther away than I do … Thousand Oaks, Agoura Hills, Van Nuys,” he said. The grieving process is not complete without a way to acknowledge the loss. Saturday’s date — Sept. 11 — is one that will forever send a chill down Americans’ spines, but other anniversaries are equally significant for those who have lost a loved one. “Anniversaries are about memories, not ‘dates’… we sometimes forget the exact date over time, but the circumstances and feelings linger forever,” said Gail Rink, executive director of Hospice of Santa Barbara. Dr. Jim Jones recently experienced the first anniversary of the death of his wife, Dianne Riffle, who died in August 2003 after a brief but intense battle with pancreatic cancer. As a physician himself, Jones said that once he saw the results of her CT Scan, “I knew she was a dead duck.” He immediately took a leave of absence from his job at Pacific Oaks Medical Center to spend as much time as he could with his wife. After his wife’s death, when he couldn’t bear to part with her clothing, Jones decided to make a commemorative quilt out of the fabrics that held special memories of their times together, and essentially retold the story of her life. “These are the Hawaiian shirts we wore on our honeymoon,” said Jones, pointing out the cotton, flannel and silk squares he had lovingly pieced together. “Retelling the events leading up to the death also helps the survivor heal. Remembering who was there, final words … even remembering feelings of guilt and regret, can help to bring perspective to a life altering moment,” Rink explained. Making that quilt, which he sewed with surgical sutures, took up a lot of empty, lonely hours. “I was transferring some of my attachment from her to our stuff,” he said. The quilting ritual was addictive. Jones made himself another quilt for snuggling on the sofa, while the first sits on the bed he and his wife once shared. He also made quilts for Riffle’s two grown children. “Sharing the grief helps to heal the sorrow,” Rink said. Jones has also been sharing his grief with fellow members of Hospice of Santa Barbara’s young widow/widowers support group. The group also gave him useful advice on how to deal with the anniversary of Riffle’s death. Have a plan, they advised. “Do you want to take the day off from work? Who do you want with you? Do you want to visit the burial site? Is there a special food you will prepare?” Rink said. “Well-meaning family and friends will advise the grieving survivor about what they should do. Our family and friends do this because they care about the survivor’s well being. “It’s important that you decide what is best for you. Grief is very personal, one strategy does not fit all,” said Rink, who added that this same pre-planning for death anniversaries applies to birthdays, holidays, wedding anniversaries and other occasions when loved ones will most be missed. For more information about Hospice of Santa Barbara call 563.8820. Originally published in South Coast Beacon on September 9, 2004.